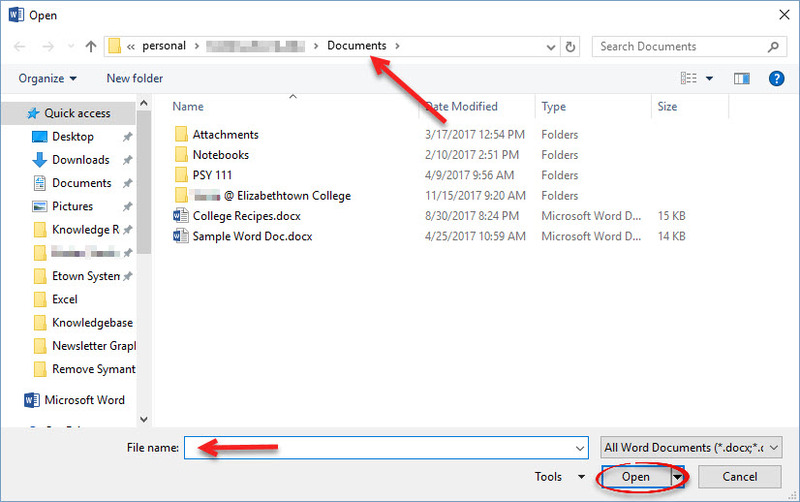 Sharing documents, files, and folders on OneDrive with others is easy and similar to using your public folder on the network drive. This makes collaborating with peers an incredibly easy process! Note: You must have the latest version of Microsoft Office (Office 2016) installed on your computer in order to be able to save a file automatically to your OneDrive. 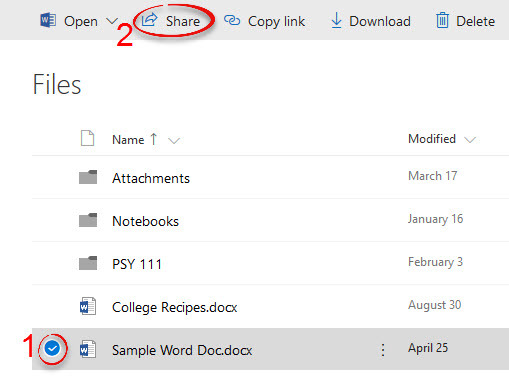 For instructions on how to download the latest version of Office to a personal computer, please refer to the Student Microsoft Office article of the Knowledgebase. For a college-owned computer, refer to these install instructions. Before saving a file, you must first make sure whatever Office program you're using (Microsoft Word, Microsoft Excel, etc.) 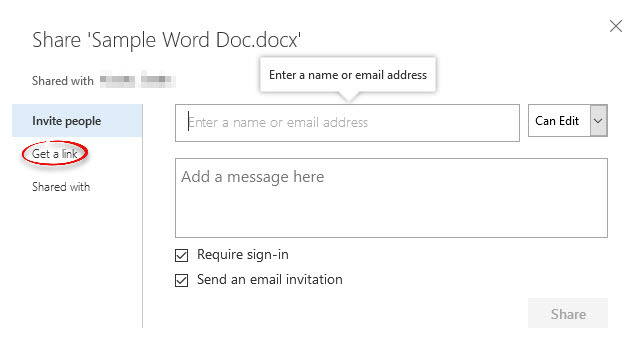 is synced with the email account associated with your Office 365. 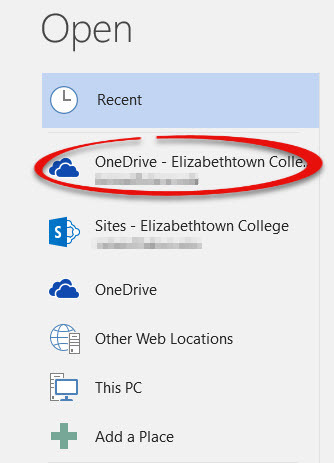 Step 3:Click OneDrive - Elizabethtown College. 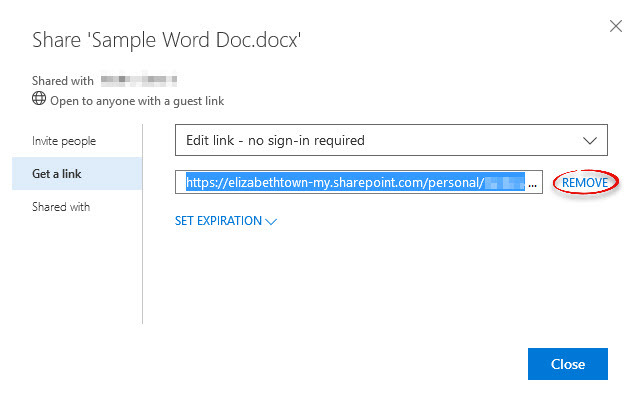 Step 5:Save the file to the Documents folder of your OneDrive. 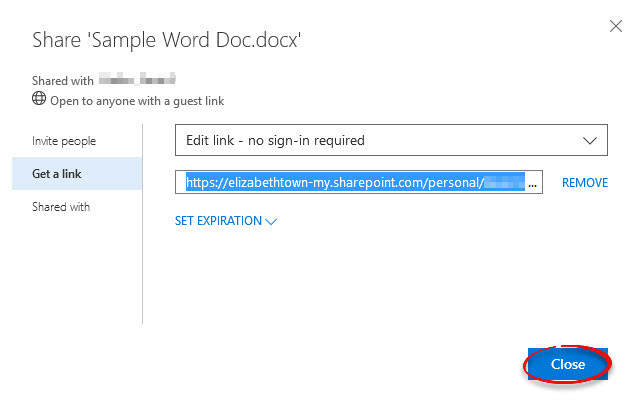 Step 1:Log in to OneDrive. 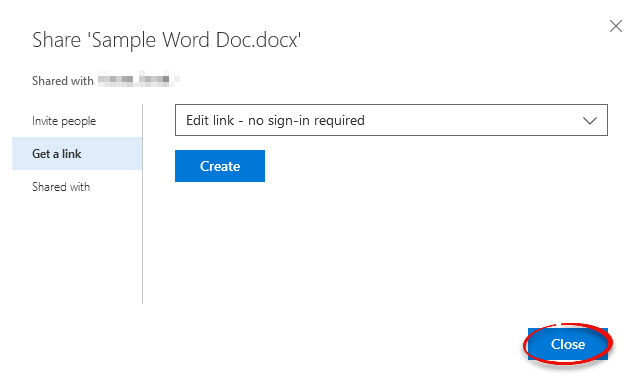 For instructions on how to log in to OneDrive, visit the Logging In article.Step 2:Select a document you've uploaded that you would like to share. Click Share. For instructions on how to upload a document, visit the Upload Documents article. Step 3:Type in the last name or Etown email of the person with whom you'd like to share the document. If you'd like to make it public, type Everyone. 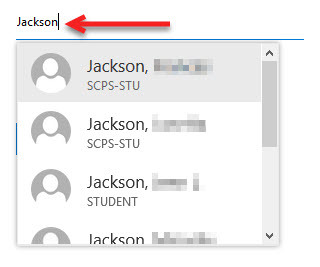 When typing in the name of a person, you must type in the last name to search for him or her. If you type in the first name, no results will appear. 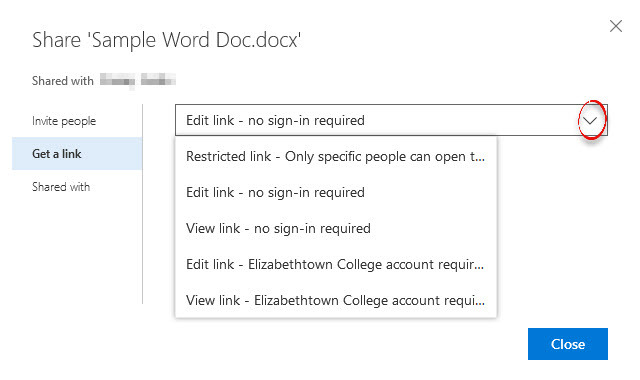 Step 2:Click the ellipses at the top, then click Manage Access. Step 3:On the sidebar that appears to the right, click Grant Access. Step 4:Click Get a link. 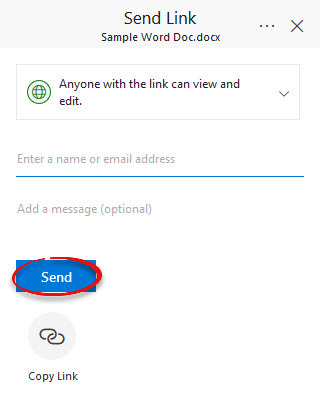 Step 5:Click the downward arrow to select the type of link that you would like to create. 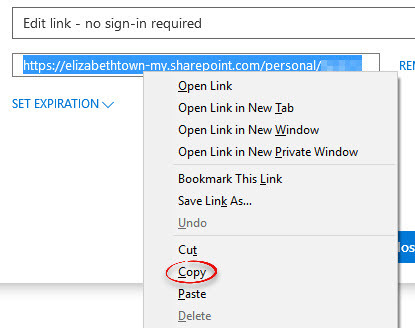 Step 7:Right-click the new link and click Copy. Step 1:Click on the REMOVE button next to the generated link. Step 2:A pop up will appear. Select Remove Link.